Thank you for using OneFitCity’s digital platform (collectively the ‘Platform’) for consumers and businesses seeking to establish mutually beneficial business relationships. 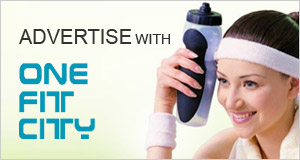 OneFitCity Limited provides the OneFitCity service to you (collectively the ‘Service’), subject to acceptance without modification of all of the terms and conditions contained herein and all other operating rules, policies and procedures that may be published from time to time on this site by OneFitCity (collectively the ‘Terms’). We reserve the right to modify these Terms by posting a notice on our website, or by sending you a notice via email, postal mail or phone. You shall be responsible for reviewing and becoming familiar with any such modifications. Such modifications are effective immediately upon first posting or notification, and use of our website or any services by you following such posting or notification constitutes your acceptance of these Terms as modified. The information contained in this website has been prepared by OneFitCity or the owners themselves on the basis of the most current information available to it. Such information has been included in good faith and is for general informational purpose only. It should not be relied on for any specify purpose and no warranty or representation is given as regards its accuracy or completeness. OneFitCity, its officers, employees, subsidiaries, affiliates, agents, successors and/or assigns shall not be directly or indirectly liable, in any way, to the users of this website or any other person for any omission from or inaccuracies or errors in the transmission or delivery of the information in this website. OneFitCity hereby disclaims its liability to the users of this website or any other person for any loss or damage arising from the use of or inability to use the information or any links or items provided on this website, including but not limited to loss of revenue, anticipated profits or lost business. OneFitCity reserves the right to make any changes and corrections to this website as and when appropriate without notice. All trademarks displayed on this website are either owned or used under license by OneFitCity or its affiliates. No user of this website may reproduce, distribute, modify, transmit or use the contents of this website for public or commercial purposes without the prior written consent of OneFitCity. Under no circumstances should the use of this website be construed as granting a license or right to use any of the intellectual property rights displayed in this website, without the prior written consent of OneFitCity. An “OFC Member” is an account for your personal, non-commercial use only and may be used to submit, post, and transmit reviews, ratings, compliments, Talk to Me messages, invitations, photographs, and/or other types of content. Not forgoing below, you may not impersonate someone else (e.g., adopt the identity of a celebrity, fictional character or real person other than yourself) and the email address you provide must be your own. An “OFC Provider” is an account that represents a business listing on OneFitCity. In claiming, creating or updating the Business Account, you must be the owner or an authorized employee or representative of that business. You may not provide an email address that is not your own or create multiple Business listings for the same business unless expressly authorized by OneFitCity. Maintain and promptly update the Registration Data to keep it true, accurate, current and complete. If you provide any information that is untrue, inaccurate, not current or incomplete, or OneFitCity has reasonable grounds to suspect that such information is untrue, inaccurate, not current or incomplete, OneFitCity has the right to suspend or terminate your account and refuse any and all current or future use of the Service (or any portion thereof). If your request for a subscription/access rights is accepted, you will be responsible for maintaining confidentiality of your online account and password, restricting access to your computer and/or preventing unauthorized access to your account. You agree to take responsibility for all activities that occur under your account or password. If you believe that your account or password is being or is about to be used by anyone else you should inform us immediately via info@onefitcity.com. You understand that all information, data, text, software, music, sound, photographs, graphics, video, messages, lists or other materials (“Content”), whether publicly posted or privately transmitted, are the sole responsibility of the person from which such Content originated. This means that you, and not OneFitCity, are entirely responsible for all Content that you upload, post or otherwise transmit via the Service. OneFitCity does not control the Content posted via the Service and, as such, does not guarantee the accuracy, integrity or quality of such Content, including but not limited to business endorsements and commentary. You understand that by using the Service, you may be exposed to Content that is offensive, indecent or objectionable. Any content made public will be publicly accessible through the Internet and may be crawled and indexed by search engines. Any content that you may receive from other users of the Services, is provided to you “as is” for your information and personal use only and you agree not to use, copy, reproduce, distribute, transmit, broadcast, display, sell, license or otherwise exploit such content for any purpose, without the express written consent of the person who owns the rights to such content. In the course of using any of the Services, if you come across any content with copyright notices or any copy protection features, you agree not to remove such copyright notices or disable such copy protection features. By making any copyrighted/copyrightable content available on any of the Services you affirm that you have the consent, authorization or permission, as the case may be from every person who may claim any rights in such content to make such content available in such manner. -Aggregating any current or previously offered deals or content or other information from the Site (whether using links or other technical means or physical records associated with purchases made through the Site) with material from other sites or on a secondary site without our express written permission. -Acknowledge that the content may not be treated confidentially. You agree not to provide OneFitCity with any confidential or proprietary information that you desire or are required to keep secret. You acknowledge that OneFitCity does not pre-screen Content, but that OneFitCity and its designees shall have the right (but not the obligation) in their sole discretion to remove or block access to any Content that is available via the Service. Without limiting the foregoing, OneFitCity and its designees shall have the right to remove any Content that violates the Terms or is otherwise objectionable. You agree that you must evaluate, and bear all risks associated with, the use of any Content, including any reliance on the accuracy, completeness, or usefulness of such Content. We may suspend your user account or temporarily disable access to whole or part of any Service in the event of any suspected illegal activity, extended periods of inactivity or requests by law enforcement or other government agencies. Objections to suspension or disabling of user accounts should be made to info@onefitcity.com within thirty days of being notified about the suspension. We may terminate a suspended or disabled user account after thirty days. We will also terminate your user account upon your request. In addition, we reserve the right to terminate your user account and deny the Services upon reasonable belief that you have violated the Terms. You have the right to terminate your user account if OneFitCity breaches its obligations under these Terms and in such event, you will be entitled to prorated refund of any prepaid fees. Termination of user account will include denial of access to all Services, deletion of information in your user account such as your email address and password and deletion of all data in your user account. The OFC Provider Accounts are available under subscription plans. Payments for OFC Provider Accounts can be made only by Credit Card. Your subscription will be automatically renewed at the end of each subscription period unless you inform us that you do not wish to renew the subscription. At the time of automatic renewal, the subscription fee will be charged to the Credit Card last used by you. We provide you the option of changing the details if you would like the payment for the renewal to be made through a different Credit Card. If you do not wish to renew the subscription, you must inform us at least seven days prior to the renewal date. If you have not informed us that you do not wish to renew the subscription, you will be presumed to have authorized OneFitCity to charge the subscription fee to the Credit Card last used by you. Please see Refund Policy for additional details. If you as a OFC Provider use either the sales, promotions, or Deals and Discounts feature (known collective as ‘Deals’) to provide consumers with Deals through the Platform, you represent and warrant that you have authority to offer such a Deal and promise to honour the terms of that deal as they are presented to the consumer through the Platform. Without limitation of other representations, warrants, and indemnities elsewhere within these Terms, you specifically agree to indemnify OneFitCity against any claims by users of the Service that the terms of a coupon or other offered deal were not honoured. By using the Service you agree to hold responsibility for all Deals that you submit. OneFitCity has no obligation to monitor user submitted content. However, OneFitCity reserves the right to refuse or to remove any materials posted in its sole discretion and without informing you. By your use of the Service, you agree not to post any materials containing unlawful, defamatory, violation to other person’s privacy, distributing of unsolicited advertising, sexual, racial or religious content. You also agree that you will not seek to enforce any copyright on a specific coupon offer. You accept to waive any claim related to the inclusion, placement, exclusion, or removal of any coupon or promotional details in the OneFitCity directory and to grant OneFitCity a non-exclusive, royalty-free license to use, publish, copy, edit, modify, or create derivative works from your submission. 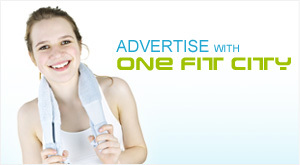 OneFitCity may publicly display advertisements and other information adjacent to or included with Your Content. You are not entitled to any compensation for such advertisements. The manner, mode and extent of such advertising are subject to change without specific notice to you. You agree to indemnify and hold OneFitCity, and its subsidiaries, affiliates, officers, agents, co-branders or other partners, and employees, harmless from any claim or demand, including reasonable attorneys’ fees, made by any third party due to or arising out of your Content, your use of the Service, your connection to the Service, your violation of the Terms, or your violation of any rights of another. OneFitCity reserves the right at any time and from time to time to modify or discontinue, temporarily or permanently, the Service (or any part thereof) with or without notice. You agree that OneFitCity shall not be liable to you or to any third party for any modification, suspension or discontinuance of the Service. You agree that OneFitCity, in its sole discretion, may terminate your password, OneFitCity User Account, use of the Service or use of any other OneFitCity service, and remove and discard any Content within the Service, for any reason, including, without limitation, for lack of use or if OneFitCity believes that you have violated or acted inconsistently with the letter or spirit of the Terms. OneFitCity may also in its sole discretion and at any time discontinue providing the Service, or any part thereof, with or without notice. You agree that any termination of your access to the Service under any provision of this Terms may be effected without prior notice, and acknowledge and agree that OneFitCity may immediately deactivate or delete your OneFitCity User Account and all related information and files in your OneFitCity User Account and/or bar any further access to such files or the Service. Further, you agree that OneFitCity shall not be liable to you or any third-party for any termination of your access to the Service. We may translate these Terms into other languages for your convenience. Nevertheless, the English version governs your relationship with OneFitCity, and any inconsistencies among the different versions will be resolved in favour of the English version.